A serious solution for one of beauty’s most challenging problems! 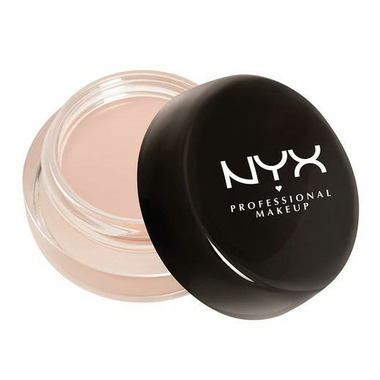 The NYX Dark Circle Concealer glides on without looking thick or obvious. Coconut oil provides intensive moisture and ensures no caking. The subtle hint of orange counteracts the appearance of dark circles, while natural skin-toned pigments work in unison to provide the ultimate coverage. How to Use: Apply directly under eyes with ring finger or concealer brush. May be set with powder if desired. Does very little to cover and is very dry under eyes. I would recommend using eye cream mixed into product or before application to face. Does absolutely nothing to cover my under eye circles.